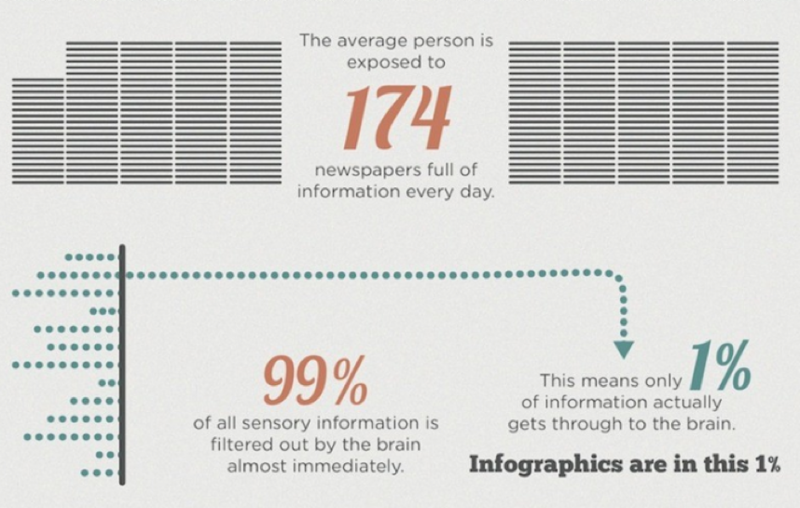 Quick, easy, and to the point, infographics are essential to eLearning. Not only because they make the course more attractive and appealing, but also because the course is more effective, as students will comprehensively understand the information, and therefore find it easier to recall. As an eLearning student, I would often use and make infographics, especially when it came to revising and test time. I’m one of many students who like having as much information as possible in one place: diluted, clear, and demonstrated with images that I can recall far easier than a long winded paragraph. Using an eLearning infographic is less stressful, since you’re not frantically flicking through pages and pages of information, desperately seeking that one relevant point–the relevant points are all easy to find on the infographic. Our senses would be entirely overloaded if our brain took in every single piece of information we passed, and for our own sanity we block out a lot of information. When faced with a thick textbook, or page after page of web content, we can filter out some of what we’re trying to learn, as shown in the infographic below. When we focus on a massive pile of content, our brains automatically want to skip to the important stuff, and we’re also more attracted to any segments with bright colors. If you’re worried that there is too much content for students to absorb, or that they may not grasp the essential elements of a subject, using an infographic will help draw their eyes to the data. Infographics will also help students remember the information, which will hopefully motivate them to continue with their learning. 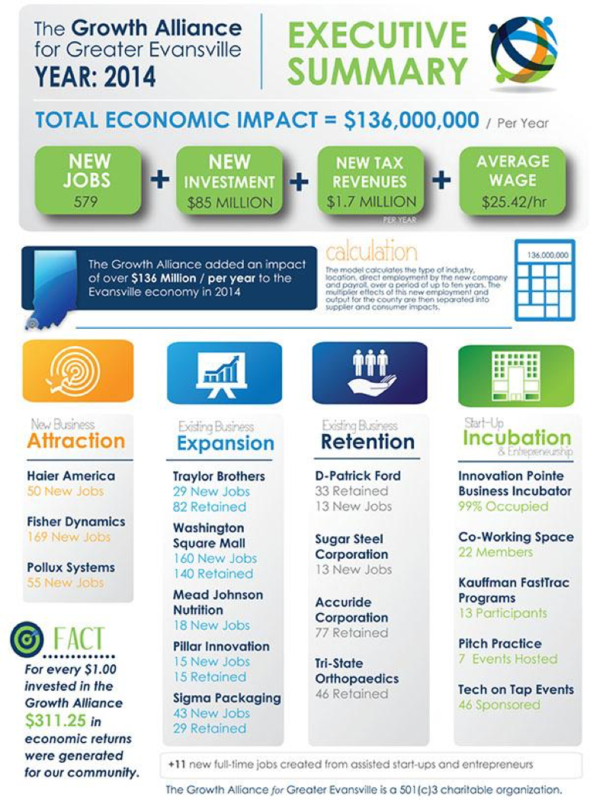 Infographics are also amazing to use in a slideshow. When I was a student, I would often rely on slideshows to check if my notes were accurate, and to get a clearer image when I hadn’t had time to write down all the information. 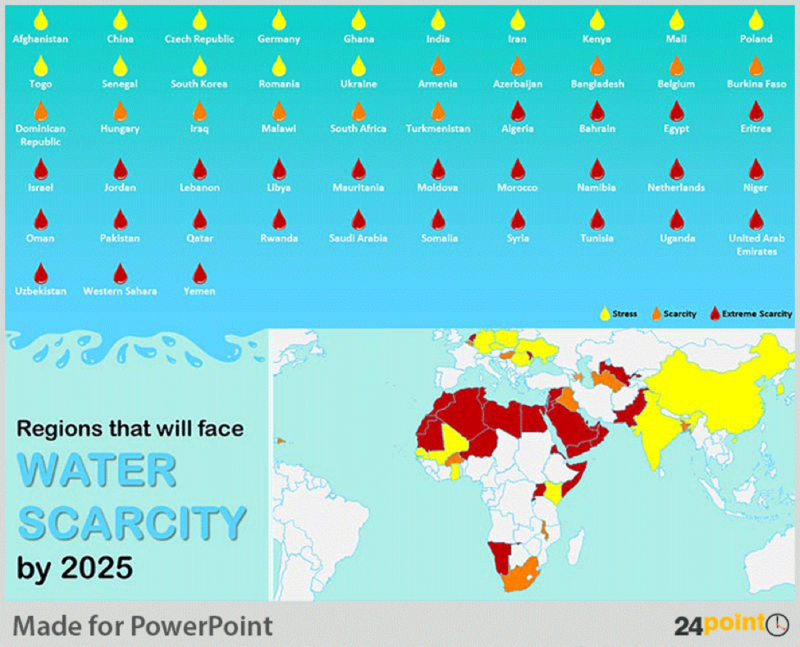 The infographic below from 24Point0 was made for a presentation and shows how clearly the information is expressed by using an infographic, rather than listing countries (many of which people won’t necessarily know the location of without checking a map). Writing down lists and numbers won’t help students half as much as visuals will. 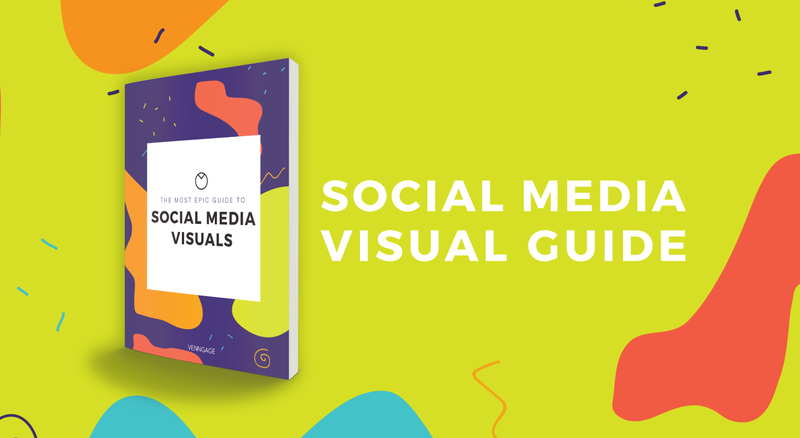 While we see picture after picture in our newsfeeds, a cute or interesting infographic can be the one thing that does capture our attention. And when reading course materials or eLearning courses, most of us will naturally look for the bright and colourful diagrams and charts, and find it much easier to retain than lengthy text content. 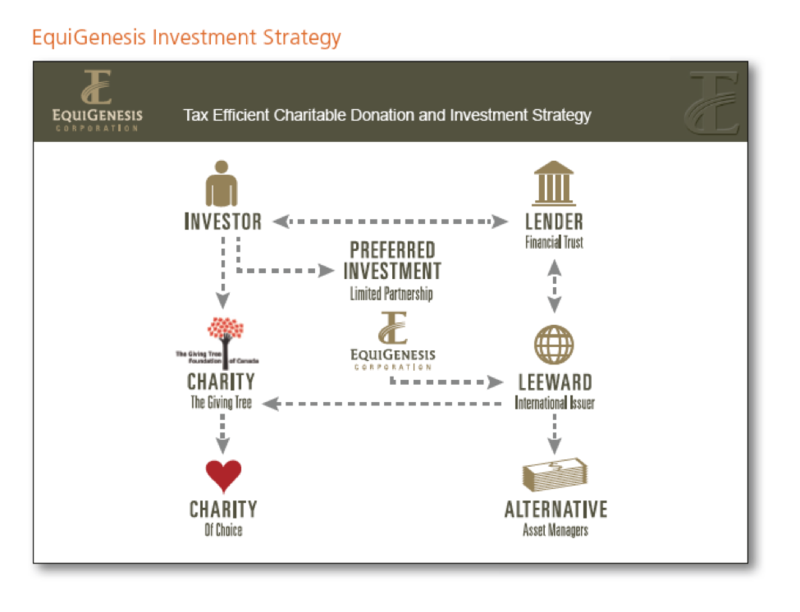 Certain subjects–for example, Tax Efficient Charitable Donation and Investment Strategy–will always be unappealing to certain people. They may be discouraged from continuing with their E-Learning courses, as they could feel nervous, or even worry that they’re not smart enough. This is a fact that is recognized by all kinds of businesses that offer types of eLearning. These companies can use eLearning methods like articles, forums, and answering questions, they use eLearning as a way to advise their clients, to educate their clients. 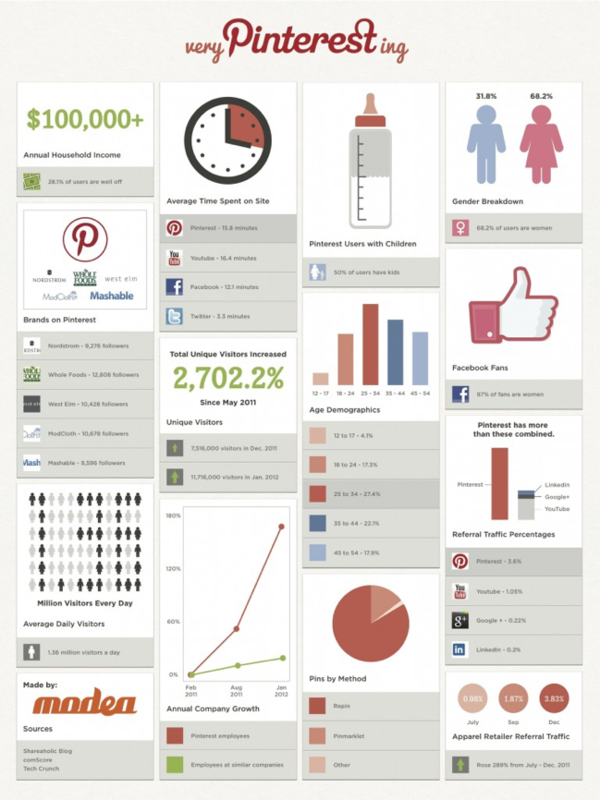 Infographics are a great type of content for doing this. People really do learn a lot more from them than by reading the fine print of their bank documents, for example the infographic below demonstrates a point that most people have heard of but couldn’t really explain, where here it looks so simple. 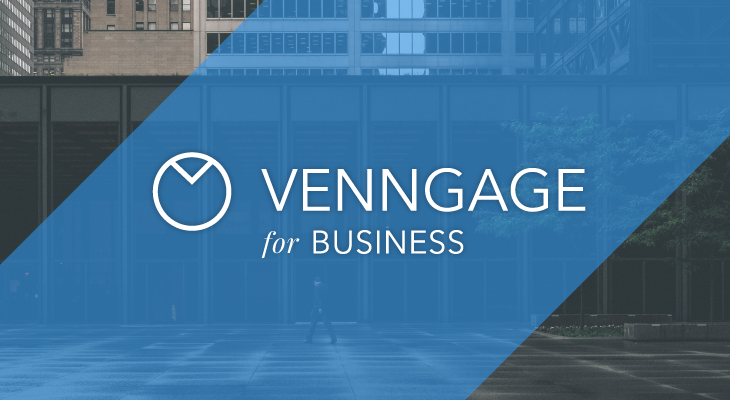 Put an end to all of the anxiety and fear–to all of the articles full of paragraphs on fiduciary duties that are too long and boring to really capture the attention of many students–and make a complex topic simple by using infographics. While something like this may take a lot of editing for the creator, who will also have had to conduct extensive research in making sure their infographic is accurate, it is so much easier to digest than when the information is presented in another form. Students embarking on e-Learning will gain a much better grasp of the subject when it’s presented in understandable terms with clear diagrams and visuals to guide their understanding. Statistics can be hard to understand in written form. Trying to make comparisons while keeping track of numbers, upward and downward trends can be difficult, and can lead to an inaccurate impression of the data you’re given. 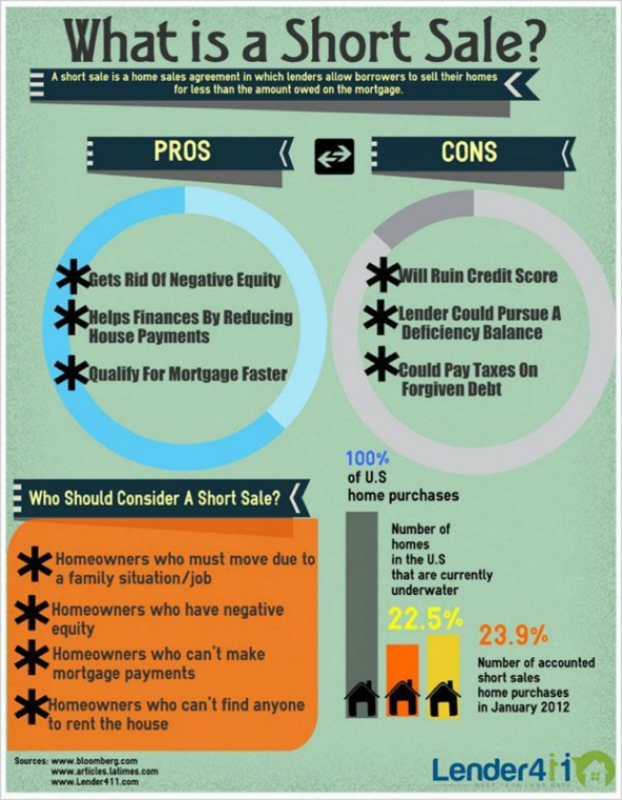 Try using infographics to show statistics and make comparisons. A visual aid is not only quickly understood, but can also enable a better analysis of the results; any trends and outliers. This is exactly why eLearning is improved by the use of infographic. But there will be times when a simple pie chart or bar chart will suffice to convey the information, and an entire infographic, while awesome, would be unnecessary. 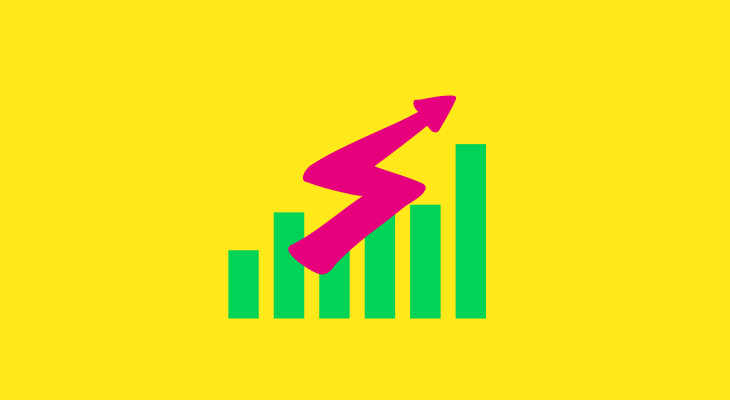 In those cases, be sure to follow chart creation best practices. 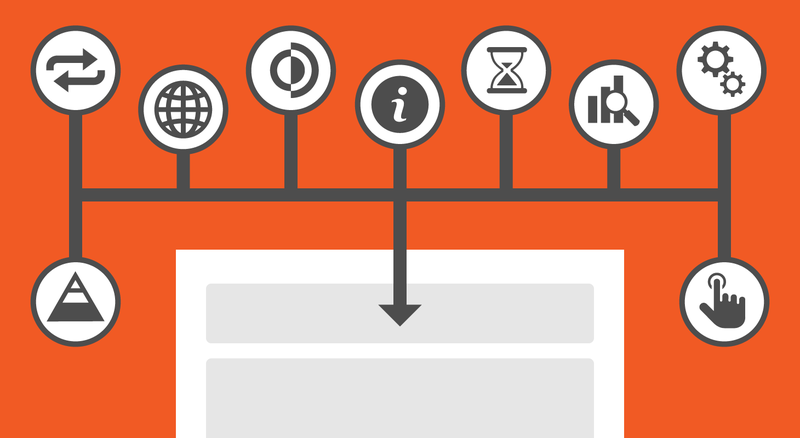 While throwing around dates or stages in a process can be highly confusing to a lot of learners, and they may accidentally skip steps or stages, or even get confused by the order of things, an infographic can fix that. 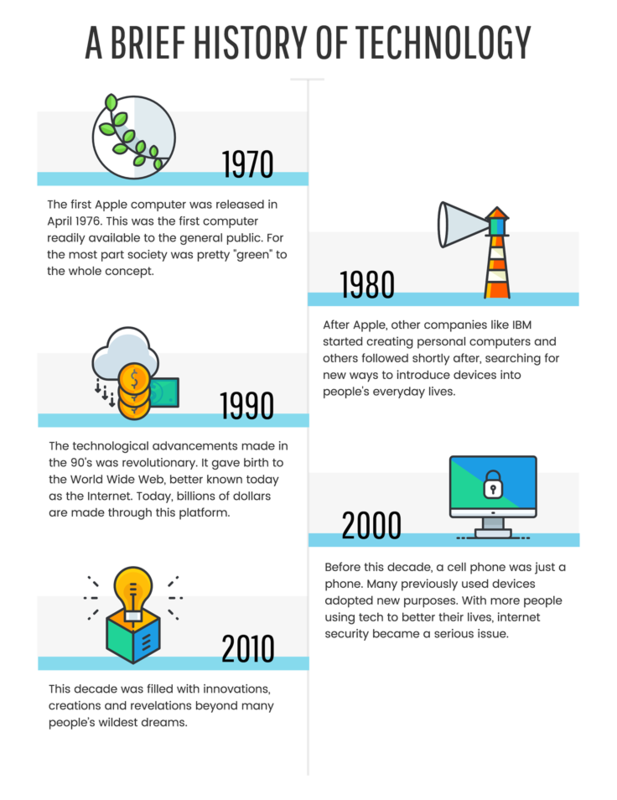 Whether you need a timeline for history, and step-by-step scientific process, or a model to show various stages of business, infographics present the information in a clear and logical way. By using colour and symbols together, the process is significantly easier to remember, and apply later on in life or in tests. The fact is that humans are wired to appreciate visual stimulation, and we naturally remember 20% more of what we see than of what we read. This means that teachers can talk until they’re blue in the face, students can read the required information, but they’re not likely to remember anything in the future unless they have seen the lesson in picture form. 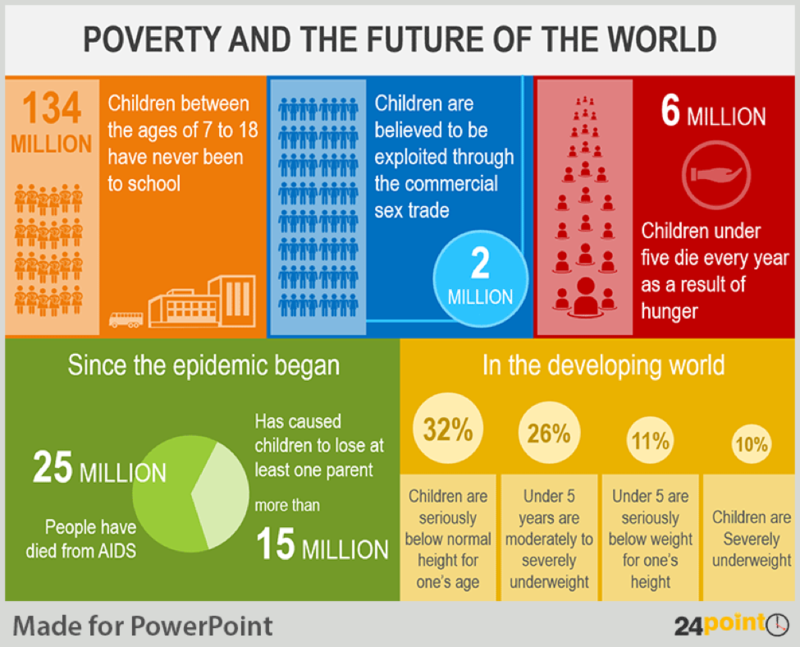 Infographics are effective tools for summarizing information. You can use an infographic to tie everything together nicely, to make links between the different things you’ve studied, and to consolidate information. 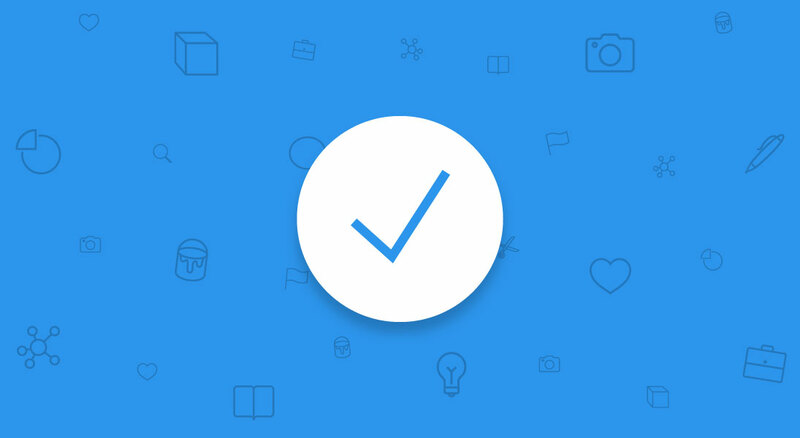 For example, the graphic above from Behance demonstrates how a summary of several different strands of complex information can all be put together, providing a holistic view of all the information your lessons have covered. It’s also great for contextualizing all of the individual points within a bigger picture. If you are looking to develop a comprehensive understanding of a topic, then you may decide against giving them infographics that summarize information during the body of the lesson. But ending an eLearning course with an infographic makes sure your students know all the key topics to look back on. While the above reasons may have convinced you to start using infographic to make eLearning, there is one more bonus tip–infographics are easy to make. But if you’re not a graphic designer, then it may seem daunting to try and come up with your own designs. 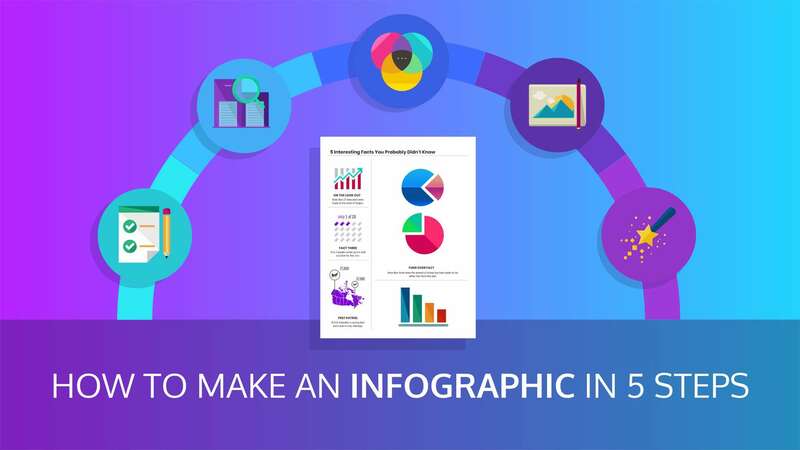 Fortunately, as infographics become increasingly popular, there are plenty of awesome online guides for how to create, promote, and repurpose your infographics. And plenty of sites offer templates to give you a helpful start. 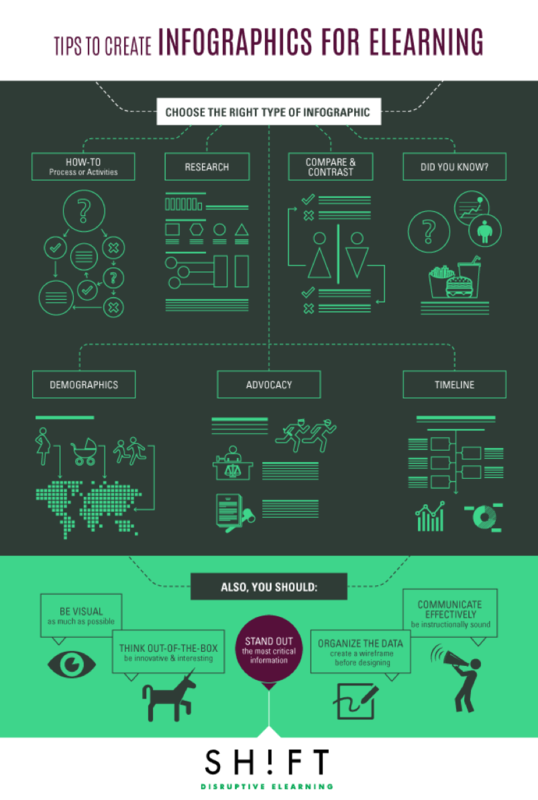 The infographic below shows that while it might seems difficult to know where to start, the information you’re presenting determines your format, and sets clear guidelines on how to best present your information. And eLearning infographics are actually quite easy to make! Hopefully by now you’ve been convinced that not only are infographics pretty much essential to improving all aspects of eLearning, but are actually incredibly easy to make. You’re probably just brimming with ideas what your first infographics will look like and how awesome your new resources will look! Do the research and check grammar and spelling before posting it, as your infographic will lose credibility if it seems flawed. Once you’re satisfied you know what you’ll be saying, you can release your creative side and enhance eLearning through the use of infographics. Gloria Kopp is a web content writer and an elearning consultant from Manville city. She graduated from University of Wyoming and started a career of a creative writer. She works as an editor and a paper writer at UK Writings service. Besides, she is a regular contributor to such websites as Studydemic, Huffington Post, Engadget, etc. Contact her via LinkedIn.